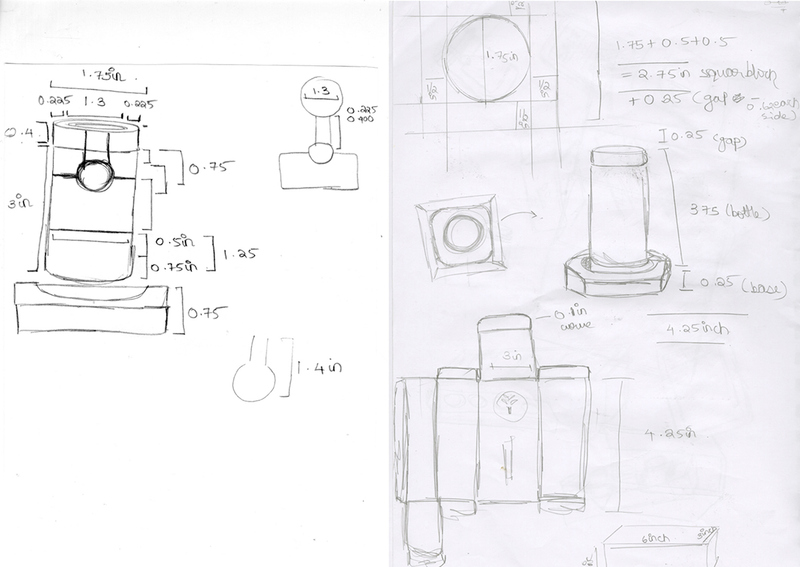 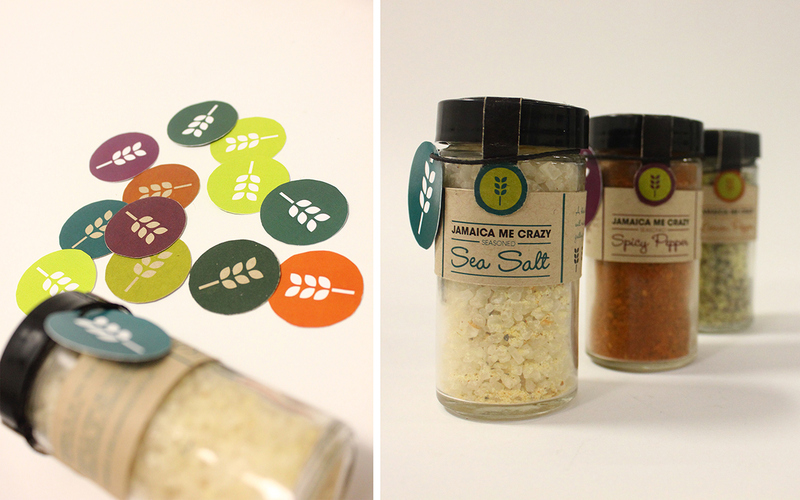 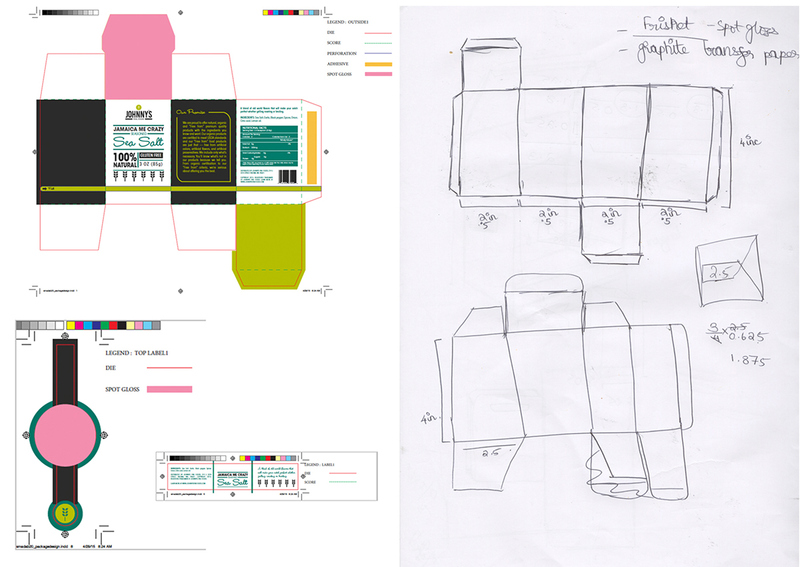 Once the logo and identity for Johnny's was constructed, a complete redesign of some of their key products was needed. 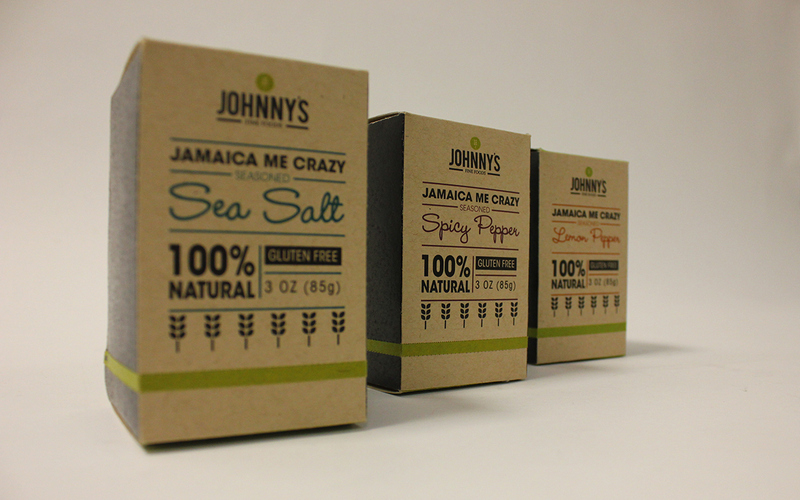 Keeping in mind the tone and persona that the brand wanted to extrude, the new packaging highlights the fresh and natural products that Johnny's produces. 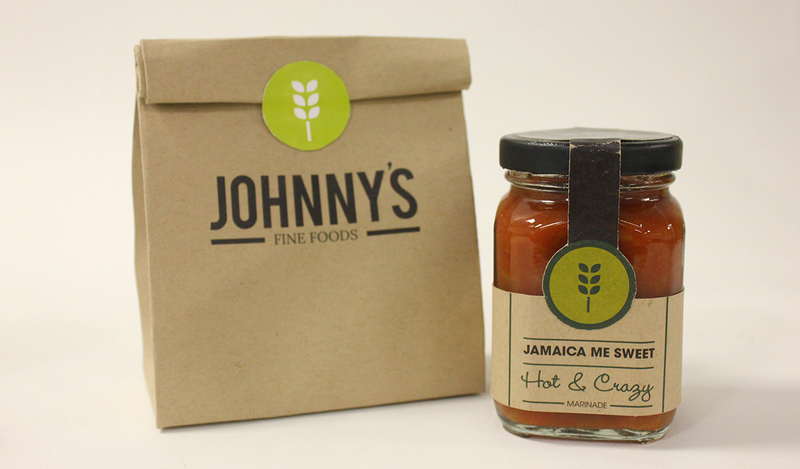 Johnny’s Fine Foods is a spice brand established in the 1950's. 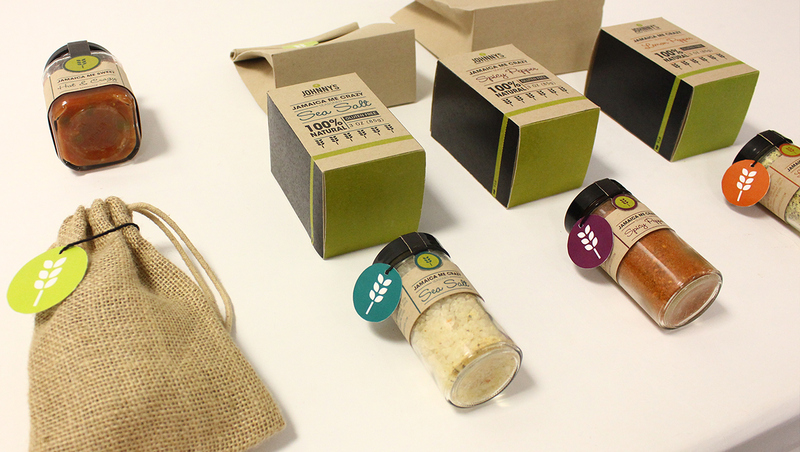 They now have a wide range of products from seasoning salts and master blends to dressings and marinades. 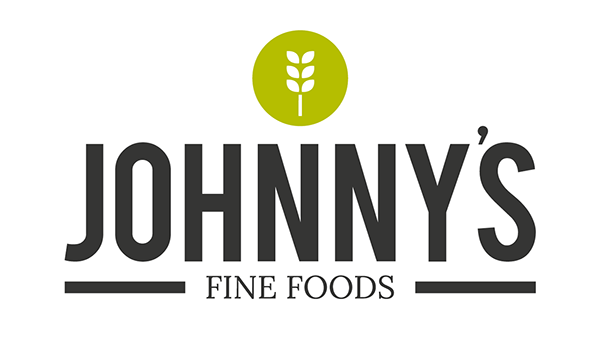 While Johnny's expanded their product range, their identity has remained the same. 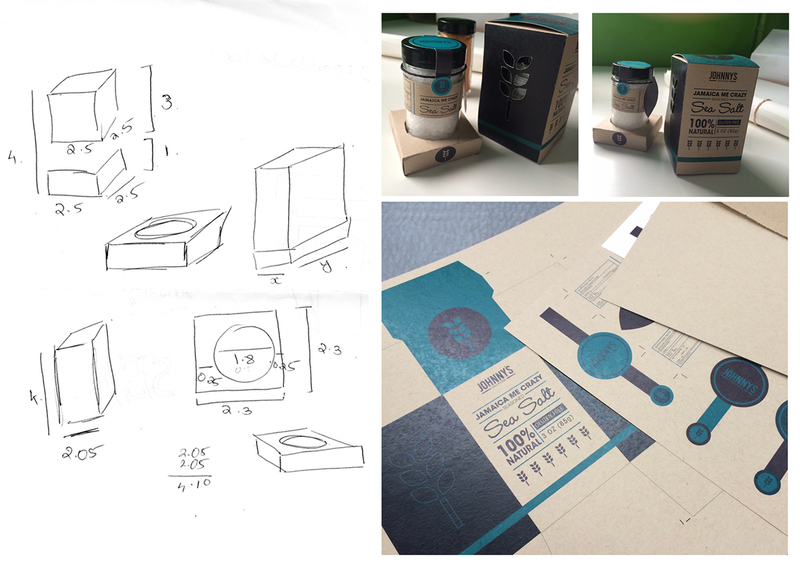 To appeal to a new market, a major rebranding was required. 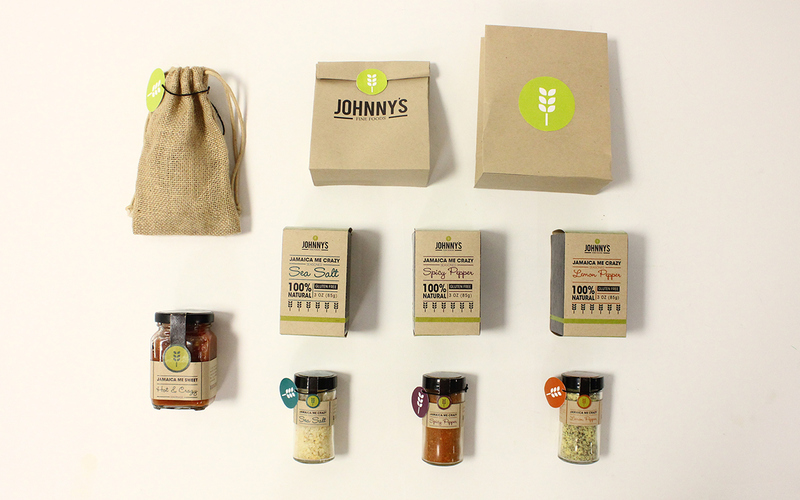 Once the logo and identity for Johnny's was constructed, a complete redesign of some of their key products was needed. 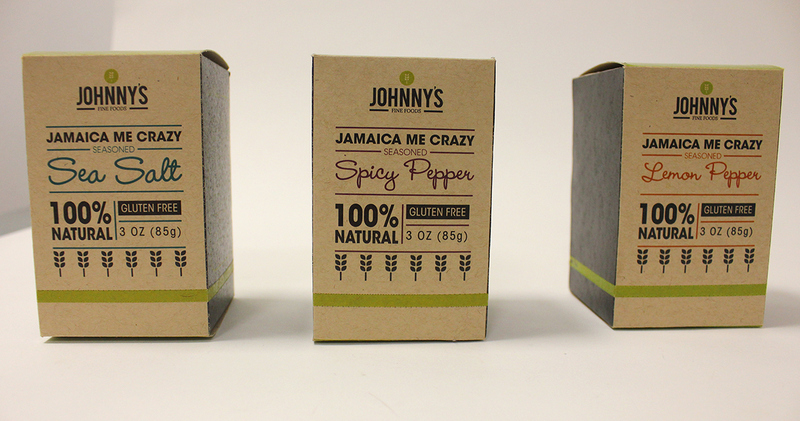 Keeping in mind the tone and persona that the brand wanted to extrude, the new packaging highlights the fresh and natural products that Johnny's produces.